Congratulations to the Harbour, which has won 2nd prize in the 2018 Recovery Street Film Festival – an annual event that encourages people across the UK to make three-minute films about recovery from addiction. Two powerful films made at the recovery centre in Coldharbour Lane, Loughborough Junction made it to the shortlist, with a film entitled Karen’s Story taking the prize. See link below. The awards ceremony took place at the Curzon Soho where all 10 shortlisted films were screened. All of the films were powerful stories of addiction and recovery. It has been a good season for recognition of those working in addiction services – the Harbour also won a SLam Star award in the South London & Maudsley NHS Foundation Trust annual awards. The awards, held at the Kia Oval on September 25, honours teams who consistently make a great impact delivering cross cutting work of notable importance. The SLaM STAR programme ran for several months and gave an opportunity for colleagues to nominate those they wanted recognised for their amazing work. Meanwhile, Lambeth’s addiction service stalwarts Mick Collins and Mike Kelleher were honoured with a Lifetime Achievement Award in this year’s NHS Lambeth Clinical Commissioning Group Lammy Awards. In his acceptance speech, Mike praised Consortium colleagues, which includes the Harbour team. You can read this and Kevin’s story in Recovery Stories. 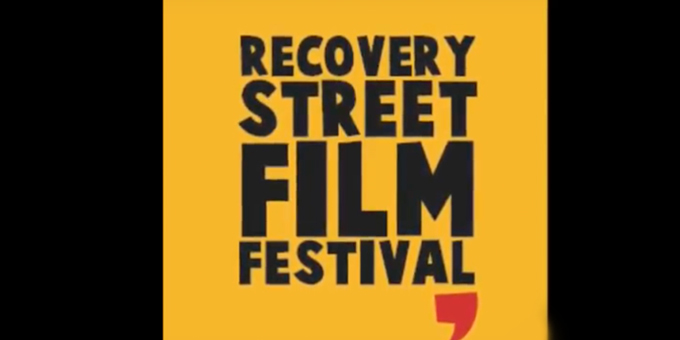 Here is the link to the Playlist page – Select 2018 Recovery Street Film Festival. Film 3 and 4 were made at the Harbour with Film 3 winning 2nd Prize. The Harbour is holding an Open Afternoon on Tuesday, October 23, 3-5.30pm, all welcome.